Tapad, the leader in cross-device marketing technology, today announced a partnership with Conversion Logic, the martech industry’s most accurate unified marketing attribution provider. Conversion Logic will incorporate unified cross-screen data from Tapad’s Device Graph™ to identify related devices and media exposures to enhance reporting on the path to conversion. By connecting Conversion Logic’s proprietary Ensemble Method, which combines numerous state-of-the-art machine learning algorithms, tuned for each customer use-case for the most accurate results, with Tapad’s unified, cross-device technology, marketers will benefit from a highly scientific approach to assessing advertising effectiveness with full, comprehensive customer insights. Linking these technologies will increase marketers’ real-time ability to optimize brands’ marketing channel spend and creative at a more granular level. During the past six months, Tapad has rapidly grown its data business, doubling the number of companies integrating the Device Graph™ into their platforms and growing the annualized revenue run rate by 210%. Tapad’s highly scalable, cross-device data has been confirmed by Nielsen to be very precise. Tapad augments platforms’ and publishers’ tech stacks with additional scale and relevancy, granting advertisers amplified targeting and analysis options. The growth of the Device GraphTM has allowed Tapad to provide a growing network that benefits all partners with more efficient, effective consumer engagement. Tapad Inc. is a marketing technology firm renowned for its breakthrough, unified, cross-device solutions. With 91.2% data precision confirmed by Nielsen, the company offers the largest in-market opportunity for marketers and technologies to address the ever-evolving reality of media consumption on smartphones, tablets, home computers and smart TVs. Deployed by agency trading desks, publishers and numerous Fortune 500 brands, Tapad provides a precise, unified approach to connecting with consumers across screens. 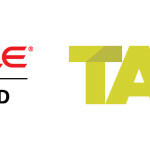 In 2015, Tapad began aggressively licensing its identity management solution, the Tapad Device Graph™, and swiftly became the established gold-standard throughout the ad tech ecosystem. Tapad is based in New York and has offices in Atlanta, Boston, Chicago, Dallas, Detroit, Frankfurt, London, Los Angeles, Miami, Minneapolis, San Francisco and Toronto. Tapad’s numerous awards include: EY Entrepreneur of The Year (East Coast) 2014, among Forbes’ Most Promising Companies two year’s running, Deloitte’s Technology Fast 500, Crain’s Fast 50, Entrepreneur 360, Digiday Signal Award, iMedia ASPY Award and a MarCom Gold Award. Conversion Logic is the media industry’s most intuitive unified marketing analytics platform. Built from the ground up by a team of mar-tech veterans, Conversion Logic’s SaaS platform is designed for CMOs, brand leads and media practitioners who need to make fast and accurate decisions in managing their multi-channel marketing campaigns around the world. Conversion Logic’s media agnostic technology provides actionable insights in real-time, enabling clients to rapidly adapt to changing environments. As an independent company, Conversion Logic is untethered from any media entity influence. Conversion Logic investors include Rincon Venture Partners, Crosscut Ventures, Lerer Hippeau Ventures, TenOneTen, Founder Collective and Raptor Ventures. Conversion Logic is online at http://www.conversionlogic.com.